KAMPALA. Makerere University appointments board sits today to interview the three candidates shortlisted for the position of Vice-Chancellor. The three top professors vying for the institution’s top executive office are former presidential aspirant Venansius Baryamureeba current deputy vice-chancellor Barnabas Nawangwe and Edward Kirumira, the principal of the College of Humanities and Social Sciences. The race had attracted the likes of Makerere University Business School principal Prof. Waswa Balunywa, who has since dropped out, while outgoing vice-chancellor John Ssentamu Ddumba did not apply to keep his post despite earlier giving indications that he would be seeking a second term in office. It is understood that Prof. Kirumira is the favourite to replace Ddumba as Makerere University’s next vice-chancellor. Prof. Kirumira has twice unsuccessfully run for the office, but sources say that he now has favourable rating among the University Senate members, who are expected to vote on the choice for the vice-chancellor on Friday. Sources at the university, however, had earlier intimated to PML Daily that Nawangwe and Baryamureeba were the front runners for the job, but the soft-spoken Kirumira has crept his way into the front seat, owing to Makerere Senate’s voting patterns, and having been consistently part of the Senate for a longer time than his two rivals for the executive job. Kirumira’s profile on the college website indicates that his interest is in population and reproductive health, with over 20 years of HIV/AIDS research and programming. Other areas include programme development, monitoring and impact evaluation. The Principal of the College of Humanities and Social Sciences at Makerere University was the Dean, Faculty of Social Sciences for eight years from 2003 prior to which he headed the Department of Sociology, Faculty of Social Sciences, for five years. Prof. Kirumira trained at Makerere University, Exeter University (UK), the London School of Hygiene and Tropical Medicine, and the University of Copenhagen Denmark in collaboration with Harvard University, US. He specialised in Population and Reproductive Health with extensive research work in HIV/AIDS, emergent diseases and international health issues, family relationships, health seeking behaviour, poverty and rural development studies. He is a Professor of Sociology. At University level, Prof. Kirumira has served as a member of Makerere University Senate and varied sub-committees of Senate including Quality Assurance, Academic Programmes and Library Committee. He has also served on the University Council and Vice Chancellor and Deputy Vice Chancellors’ Search Committees. “At the moment, government does not trust Makerere because we are unable to tell them the actual amount of money we raise from private students. I want to end that and ensure that government becomes more committed to funding the university,” he is quoted as saying. Prof, Barya was at the helm of the Ivory Tower between 2009 and 2012 when he was forced out by MUK’s endless woes. But Barya had made history as the youngest ever academic to hold the reins at Uganda’s premier institution of higher learning with his appointment in 2009. He was 40. After the professor of Computer Science was forced out Makerere, he founded the Uganda Technology and Management University (UTAMU) that he headed as vice-chancellor from September 2013 until September 2015 when he resigned to try his luck in national politics by contesting for the highest office in the land. Before his appointment as MUK vice-chancellor, Barya had grown s through the ranks from teaching assistant in 1994 to lecturer, senior lecturer, director, dean, professor and Finally Vice Chancellor in less than 10 years. Baryamureeba was born on May 18, 1969 in Ibanda, Western Uganda, to Florence Bitwakakye and Pius Kabukure, a former second world-war fighter who later turned into a businessman. 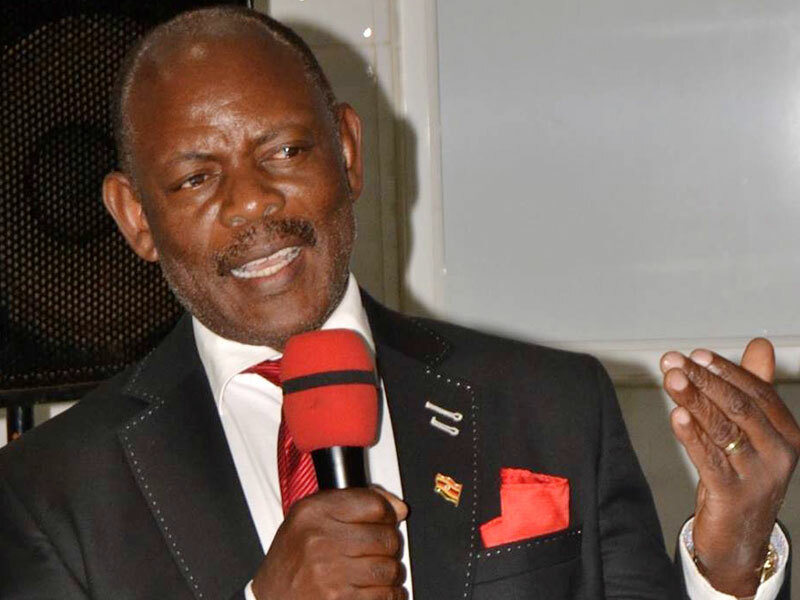 He feels he has unfinished business at Makerere University and is determined to have another go at the helm of the institution to leave his mark beyond just serving as the youngest academic like his previous record shows. Prof Nawangwe is the Deputy Vice Chancellor for Finance and Administration and is responsible for the planning, budgeting and development of the university. The former acting principal of the College of Engineering, Design, Art and Technology, was the Dean of Faculty of Technology (2002-2009) and Head of the Department of Architecture from its inception in 1989 to 2002.